The British Gazette » Brexit: The Infantilised Shambolic Society! Above, the International Space Station (ISS). Its first component launched into orbit in 1998, the last pressurised module was fitted in 2011, and the station is expected to operate until 2028. 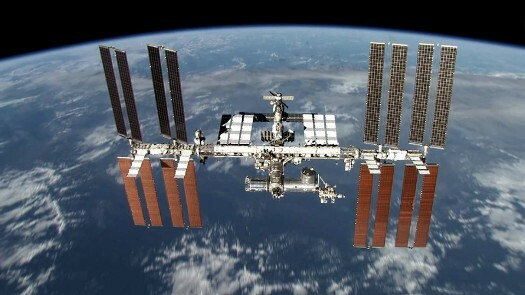 When the construction of the ISS commenced in the 1990s it brought back a memory. It was the initials of the acronym that sprang to mind, “ISS”. It brought back memories of my childhood. Specifically, the year 1964 when I was aged nine. You see, me and four of my school friends had formed the “International Secret Society” or “ISS” for short!!! Now, secret societies by definition should be secret. But me and my four fellow “secret agents” (that is what we called ourselves) were going to have none of such subterfuge! We were secret agents of our secret society and we were going to let the world know it! As a result each of us with some white undercoat paint and some black gloss paint painted the ISS acronym on the gateposts of our family homes! To the chagrin of our fathers! Now, secret agents are known by their numbers. The most famous of which is of course “007” James Bond! Of course, juvenile rivalry forbade the numbers “1”, “2”, “3” and “4” as this would impute precedence and such precedence was disputed. Thus we opted for a compromise. Each of us would take as his (NB: girls were forbidden from being members!) number the house number of his family home. So my number was “22”! Now of course, all this was the fantasy of nine year old boys. However, it is with an ever increasing sense of foreboding that I spectate upon the utter charade that is the British political scene today! - the learned Doctor North once again describes the fantasia of foolishness that represents the Brexit issue. That the government, opposition and press are consumed by a collective idiocy causes one to coin another meaning to the acronym: “infantilised shambolic society”. This of course begs the question of how this dire situation came about. New Year’s Day, Monday 1st January 1973 saw the United Kingdom of Great Britain & Northern Ireland join the European Community following the enactment of the European Communities Act 1972 (c. 68). As a result, it is 16,595 days or 45 years, 5 months, 8 days including today since the UK was a fully independent sovereign state. When the never to be sufficiently damned “Father of Europe”, Jean Omer Marie Gabriel Monnet helped start what became the European Union, he was quite clear about the importance of deception in the “Projet européen”! What is now clear is that after 16,595 days of persistent “salami slicing”, the political and governmental establishment of the formerly sovereign UK has been reduced to that of a province. And here we have the greatest – and cruellest – of all ironies! You see, UKIP the political party whose very name established its raison d’être, is far from being part of the solution to Brexit, is the leading part of the problem of Brexit! Pacem mundi augeat. ~ May contribute to world peace. In majore patria. ~ In a bigger motherland. Aureae, quae iungant nos. ~ The symbols that shall unite us. 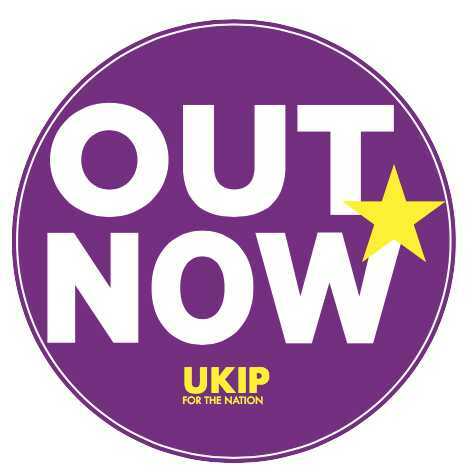 This together with the other accoutrements of statehood; Parliament, government &C.
For years now, UKIP activists have been standing on street corners and in market squares across the length and breadth of the UK declaring that the Europhile elite have reduced this nation to the status of self governing province! Stating also, that in many ways, the individual states of the USA have more sovereign autonomy that do the member states of the European Union! When UKIP activists have made such startling statements they were giving voice to FACTS! What these UKIP activists seem not to understand is that 16,595 days without exercise of sovereign power has caused the muscles of the former sovereign state to atrophy! This is most startlingly apparent in UKIP’s demand contained in the image below! This is lunacy! The UK CANNOT “transition” from European Province to Sovereign State in one day! IF this attempted, the result will be chaos and civil unrest on a scale that has not been imagined by the establishment! To make the point using the image of the ISS: Astronauts residing in the ISS have to take a course of rigorous daily exercise on machines. This is to counteract the effects of zero gravity on their physiology. Not exercising is NOT an option! Astronauts are young and healthy but if they did not exercise rigorously they would have severe problems when back on Earth!